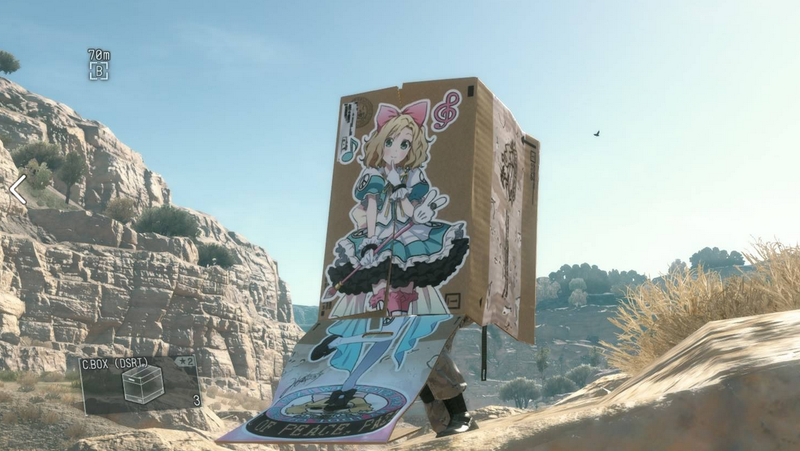 I knew I was in for a treat when Metal Gear Solid V introduced me to its R&D mechanic by asking me to research state-of-the-art cardboard box technology. Since then, I’ve become somewhat obsessed with the box. I use it everywhere, even when I probably shouldn’t. Even getting caught is a joy, because it gives me an excuse become a murderous Jack-In-The-Box. There’s nothing quite like going into reflex mode, popping out of the box, and dealing with an enemy—and then just disappearing back into the box once more. Each poster has a unique usage. The bikini model one, for example, makes guards salivate over you. The soldier one, meanwhile, makes enemies think that you’re an ally. Both are great ways of maintaining stealth while being aggressive, which I appreciate. Even the reactions to the box are great. “A cardboard box is moving!,” the guard cries into his walkie talkie. “This is CP. Knock it off. Out,” his superiors respond. All of this has come together to cement the box as my favorite item in Metal Gear Solid V. Nothing else comes close.